The US Open held its first women's singles competition in 1887, six years after the inception of the tournament. Athletes belonging to 17 different countries have won the event in its 131-year history, with United States topping the charts. Molla Mallory is the most successful champion at the US Open Championships of all time, with 8 titles to her name. In the Open Era, Chris Evert and Serena Williams lead the pack with 6 titles apiece. The US Open was the first Grand Slam to equalize pay among men and women. This happened in 1973, mostly due to the bold activism shown by tennis great Billie Jean King who threatened to boycott the tournament if pay parity wasn't brought about. The US Open also offers the highest prize-money among all the Grand Slams. 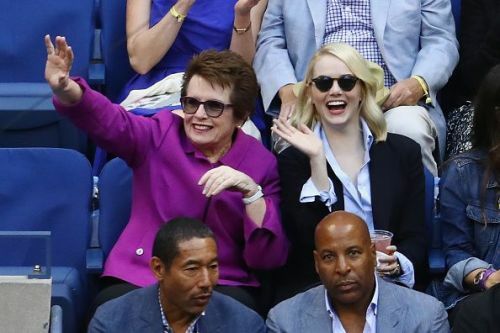 A colossal personality in American tennis, Billie Jean King will always be remembered for the glory that she achieved on court as well as her humanitarian activities off-court. The winner of 39 Grand Slam trophies including 12 singles, 16 doubles and 11 mixed doubles titles, King pioneered the introduction of equal pay in Grand Slams. Always trying to bridge the gender gap, she has been a vocal advocate of feminism. King was the second seed at the 1974 US Open after defending champion Margaret Court chose not to defend her title. In the final, King was up against Evonne Goolagong Cawley, the fifth seed. Goolagong Cawley had beaten Chris Evert in the semis, which was a remarkable feat considering that Evert hadn't lost in her 55 previous semifinals. Goolagong Cawley took the first set in the final but King won the match to take her 4th US Open crown at the age of 30 years, 279 days.